Summers at the lake aren't the grand affairs they used to be, apparently. This is a real photo postcard from the Minnesota Historical Society's collection. Several things about this image make it truly wonderful, such as the reflections of the passengers in the water and the conflicting perceptions in the viewer of forward movement yet stillness. But the best thing about this is how very dressed up the passengers are! 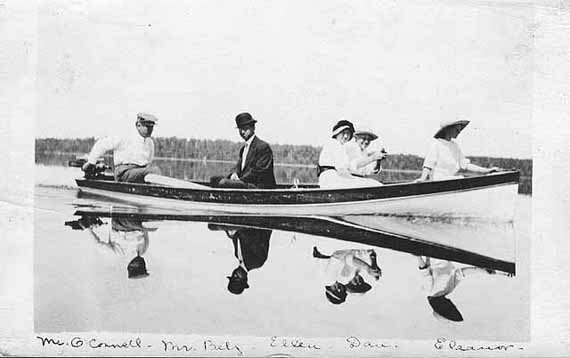 This postcard dates from around 1915 and was taken on Deer Lake, Minnesota.